I have had the humble pleasure to observe angels and their fighting capabilities. At heart, I am a dancer and a martial artist that has had extensive training. Movement, in general, speaks to me much about the Kingdom of God. So I enjoy the moments Holy Spirit gives me to watch angels in combat. Warrior angels are incredible to watch as they destroy the works of the enemy, and they do so with great pleasure. The Host of Heaven, which is mentioned many times in the Bible is a reference to the armies of God. The Lord, who is captain of the Host uses His angel armies to do battle, and He alone commands them (Joshua 5:13-15). Now I know what you are thinking, some would say that we can command angels, but I would caution you. Angels only harken to the voice of the Lord (Psalm 103:20). Our relationship with Jesus, the Captain of the Host, strengthens our involvement with angels. When we carry His word in our hearts, we release angels because the voice of God is in us by the Holy Spirit. 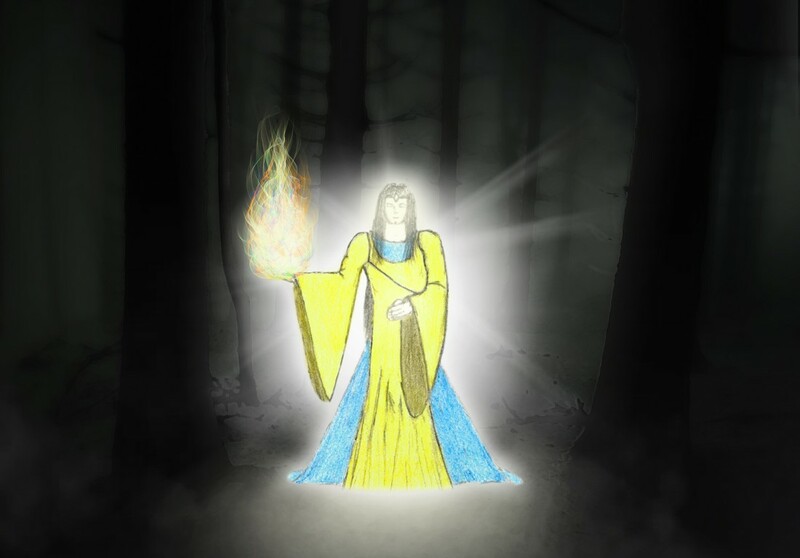 I have seen people try to command angels without a relationship with Jesus and it looks terrible and can be dangerous because not every Spirit carries the light of God. If you are not in a relationship with Jesus, you are at risk of invoking evil spirits or fallen angels. As I have stated above the Host of Heaven is an angelic army, and not all of them appear in ways we understand. Some of them look like lions with wings called the Royal Guard; some have eyes all around their heads so that they can see the enemy at every angle. My favorite group of angels is called the White Wings. 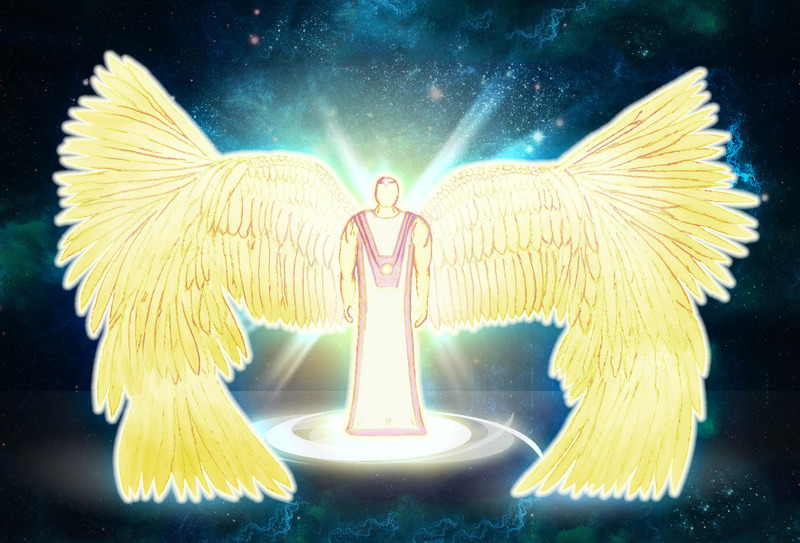 These angels have laser wings all over their bodies, and they use them to fire a blast of energy at demonic forces. All these angels are led by Michael, the angelic prince who answers to Jesus Christ. Briefly, I wanted to share with you an encounter I had with the angel Michael in watching him battle against the forces of darkness. It was wild, scary, and amazing all at once. A glowing blue shield surrounded me as the smog of hell erupted from a pit below. Countless demons crawled to the surface with claws so terrible that my skin shivered. Some of these demons had dragon wings. These wings had holes in them as if they were decaying or worms had eaten through their flesh. They cried out with horrific screams as they rushed forward towards their target; me. It was me! However, someone stood in between the demons and me. I could breathe as the ball of light swelled in size to form a formidable angel whose wings were burning bronze. Michael stood before me with his enormous sword of fire unleashed to wreak havoc on all that approached him. I could see a gentle smile on His face. He must like to slaughter demons. This beautiful angel’s appearance was full of light and his eyes were focused on those he must destroy. Michael’s long, straight black hair sparkled with fire and I could see the detail of every strand of hair! His muscles were like steel and His chest reminded me of a tank that could not be pierced with any weapon! His wings were open with excitement; he has come to win this battle! 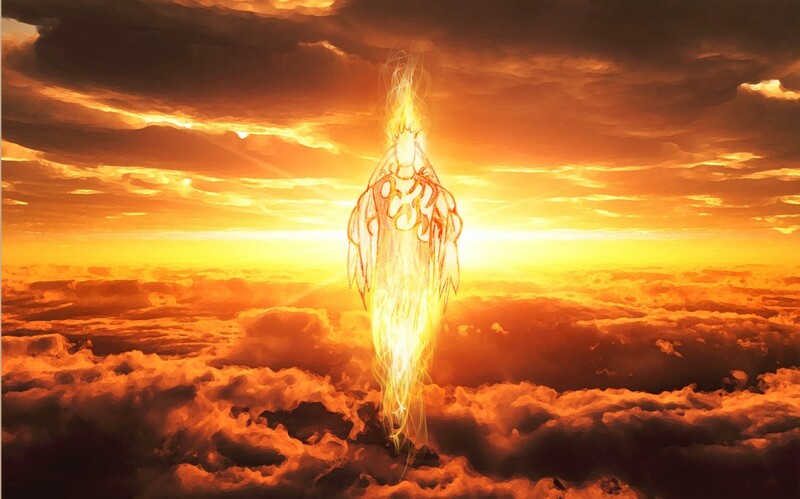 Michael closed his burning, bronze wings to make a cocoon of light around himself, and as the demons gathered on top of him, the angel exploded with a blazing fire burning the very atmosphere of hell. I heard a deafening sound which I cannot describe to you. He pushed the demons back as they tumbled over each other. Michael dashed forward swinging his sword impaling thousands of demons all at once. He used his wings like a weapon and fire flung from them with each blow. I have never seen such beautiful, graceful movement in his style. He is strong but in complete rhythm and peace with the Spirit of God who empowers him. I was at peace but in awe of such beauty fashioned by the Creator. Not one demon overpowered him; not one demon could handle the thrashing of his holy blade. 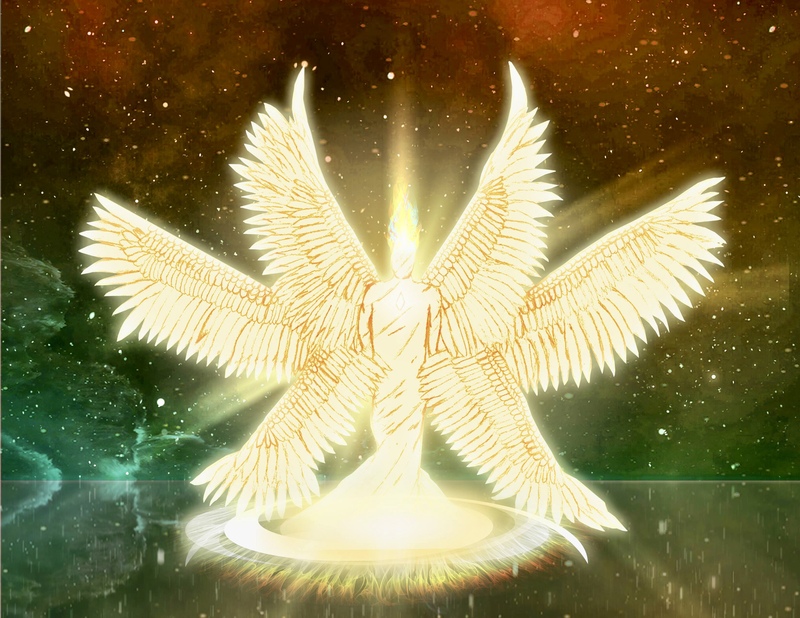 His wings burning with eternal light fluttered with intensity and purpose. Michael raised his wings above his head which acted as a conductor of electricity. Small balls of light circled the top of his wings with the sound of thunder! Michael’s eyes light up with fury as he took a stance to brace himself for a deathblow that would inevitably end this battle. He roared with passion when his wings unleashed an arc of terrible lightning forward to the horde of demons before him. This powerful attack caused the ground to split open hurling giant stones into the air which landed on the demons, burying them alive. Everything was silent, and the ground was scorched by sparks of fire. Michael lowered his wings and turned towards me. He sheathed his sword while his intense eyes looked upon me, “You are safe now. 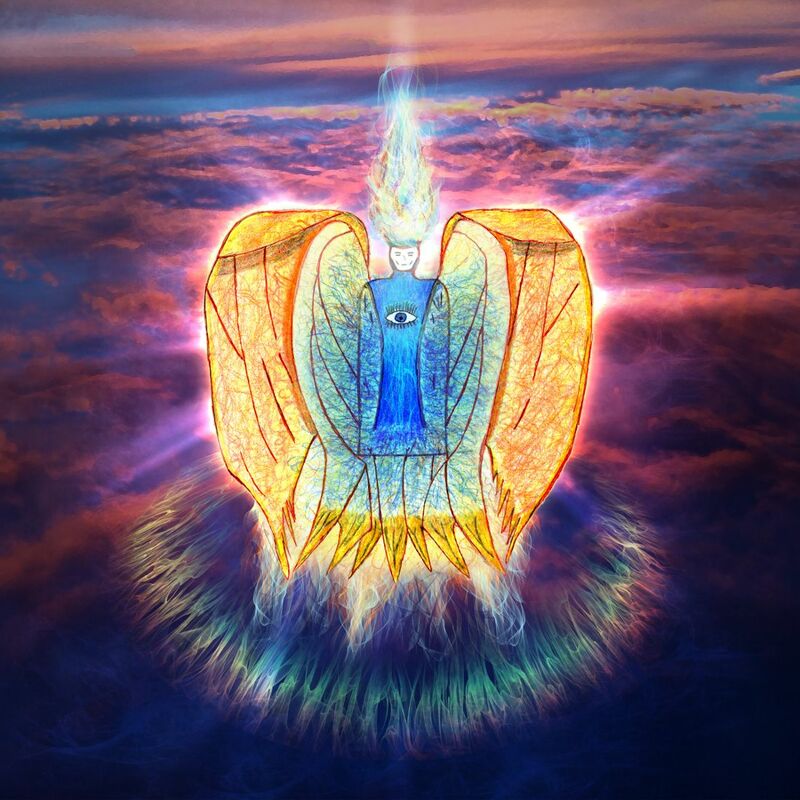 They will not harm you.” He stepped closer and covered me with his enormous wings like a dome of light. “Come I will return you to earth.” We looked at each other for a time; I did not even feel us transporting back to Earth. Michael’s countenance softened as he said this, “We fight for you, Micah. We desire to help you whenever you need.” He lifted me up with a smile then vanished. Who is like our God? Lord of the heavenly host, we worship you! Thank you for your angel, Michael. Send forth you armies oh God to destroy the works of the devil! That was amazing Micah. I love you. Michael did that through the Spirit! That’s power! We are going to be so blown away and awe struck by the things we see when we reach Heaven…. Há! Isto Tudo é Lindo,Micah, Muito obrigado,Estou encantada com o seu blog,ou a sua pagina ,nos fala tanta coisas,mistérios do céu;Eeu amo saber coisas sob o Céu. (Quem já gozou um pouco do céu,é dificil permanecer por muito tempo aqui,Eu não subi ao céu, Mas o céu desceu entrou e habitou em mim. 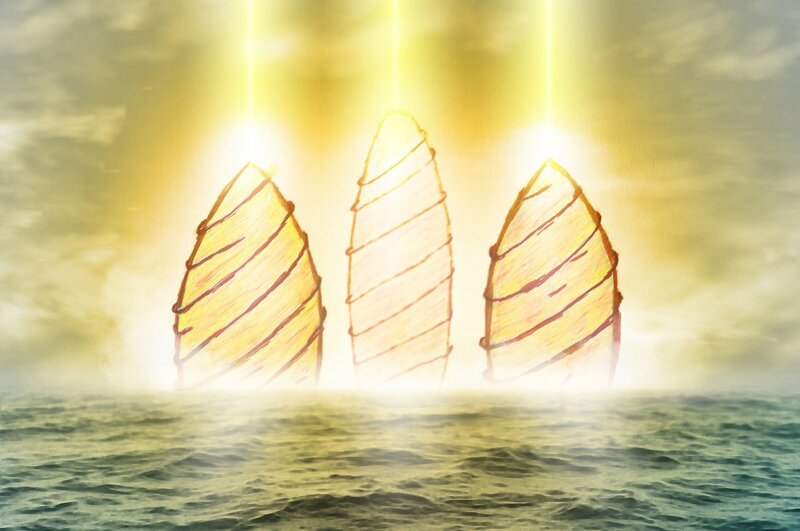 È céu onde está Jesus ,Tristezas não têem lugar ,Porque há nEle uma Fonte de luz.Que nos dá gozo ,e nos faz cantar. )O Senhor Me Deu Uma unção de Louvor, Depois de Uma expiriência muito tremenda .Gostaria de falar um pouco com o Micah sobre isso mas num e-mail,Eu Tenho muitos cadernos Com Canticos e Poesias mas nada Editado.Que falam muito sobre andar em intima comunhão com Deus,humildade e mansidão,Sem os frutos do Espirito ,não há louvor verdadeiro.que o Senhor te Abençoe.